Portrait of a dark bay in a loose box, painted in oil on canvas and within the original plain-moulded gilt frame. Signed lower right by the artist, John Goode, and dated 1847. 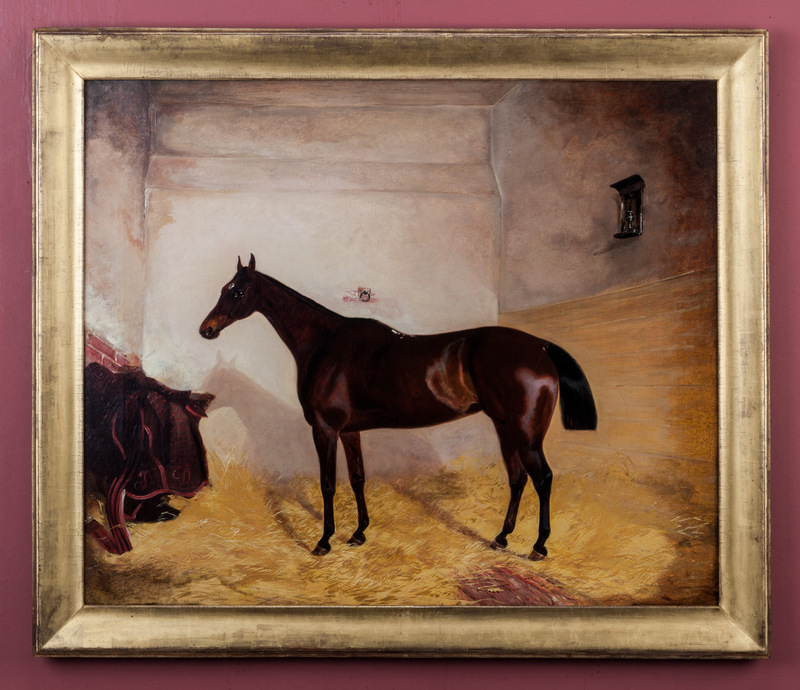 From Adderbury, this Oxfordshire artist exhibited a couple of times at Suffolk Street, both sporting pictures, and is also recorded as painting prize farm animals. His painting of 'The Old Berkshire Hounds' was engraved by P Thomas, (mezzotint), in 1852.